The Best Handmade Over the Hill Gag Gift DIYs - Elfster Blog The morning of my 30th birthday I got up, took one look in the mirror, and went straight back to bed. 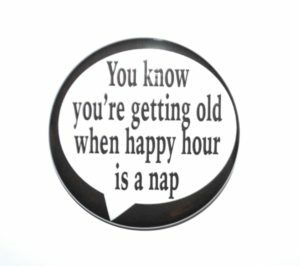 I know 30 isn’t that old, but I figured I had finally been around long enough to really deserve that extra 10 minutes of snoozing. I wasn’t over the hill, but I was definitely nearing the peak, and that made me feel just a little more fatigued than usual. Luckily, I was broken out of my barely justified ennui by a super fun birthday party put on by my friends, one that involved dancing and karaoke and plenty of joking around. I felt younger than I had in years. As we get older, we have more and more to celebrate—every passing year starts to feel like an accomplishment, and I can’t help but look at my elders with more and more awe as I just start to comprehend what they’ve probably overcome in their lives. What do I get to show them I care? Hilarious gag gifts, of course! And there’s no better time to shower someone with funny presents than their 50th birthday, which most people agree is the official “over the hill” mark. Chase any worries they have about reaching the big 5-0 out of their head with a present that can put a smile on their face. You want to walk the line between dark humor and just plain dark, but it shouldn’t be that hard to do. Just keep in mind any actual health concerns that the guest of honor has, so your gifts don’t hit too close to home. And when in doubt, just hide a few whoopee cushions around the room (it’s a classic for a reason). Feeling crafty? Try your hand at these handmade over the hill gag gift DIYs. They’ll keep any party from being more bland than denture-approved mushed carrots, hold the salt. The first time I heard of someone making a “diaper cake,” I was appalled. What goes in said cake? 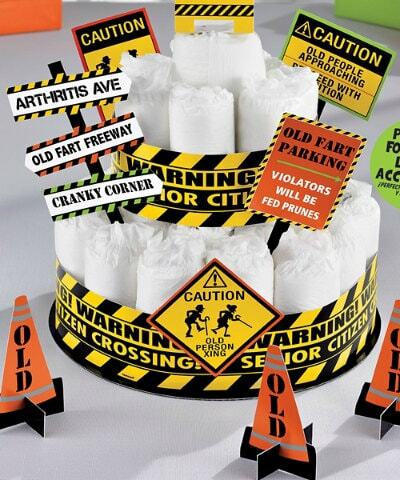 Why would cakes and diapers have anything to do with one another? Well, it turns out diaper cakes are just baby diapers tied into the shape of a layer cake, often given to parents-to-be as a festive gift. But, swap those cute lil’ newborn diapers out for some bulky adult diapers and you’re in business for a handmade over the hill party gag gift! It’s a great showpiece for the birthday celebrant who just can’t hold it in—“it” being their excitement about the party, of course. Buy two packs of adult diapers. Roll enough diapers up into long, thin sticks to create a large circle by setting the diaper rolls vertically on end and tying them together with a ribbon to secure them in place. This is your base layer. Create a second, smaller diaper circle just like you did for the first one, tie it up, then place it on top of the first. At the party, tell everyone you’re bringing out the cake—but roll this one out instead. You can even stick a candle on top! Just remember, if they’re really over the hill, you might have to get pretty close before the guest of honor realizes that the confection you’re carrying is actually made out of diapers. After the birthday boy or girl unrolls the top layer to find the gifts hidden within, you can bring out a real cake for everyone to enjoy. 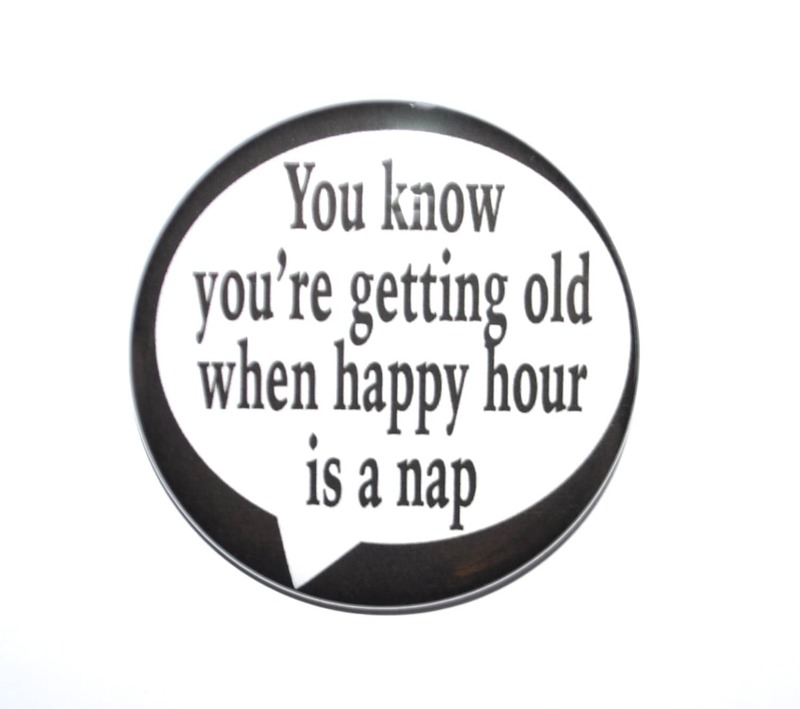 As the old timers like to say, sweet doesn’t taste sweet without a little sour. Being old doesn’t mean you have to be unfashionable; my grandma wore roaring red lipstick every day of her life, glamorous until the end. So what better gift for your rapidly aging friend than a fancy denture case and cane set? Buy a cheap denture case and cane, then break out the hot glue gun, sequins, pompoms, and glitter paint. Bedazzle and decorate them until they look utterly fabulous—you wouldn’t want your friend to wind up boring just because they’re old, right? 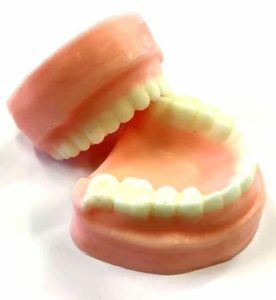 Include some fake dentures and a note explaining that the denture case will help them keep smiling, even when they do need a little help from the cane to get over the hill. Just make sure you’re more than a cane’s length away when they open their gift! My Papa loves the water and took his boat out onto the lake well into his 80’s. 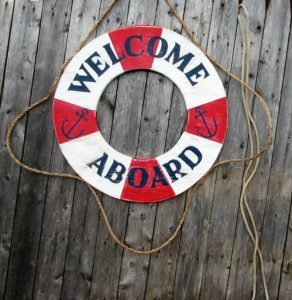 When he turned 70, my mom made him a handmade over the hill life preserver as a gag gift and it was a huge hit. 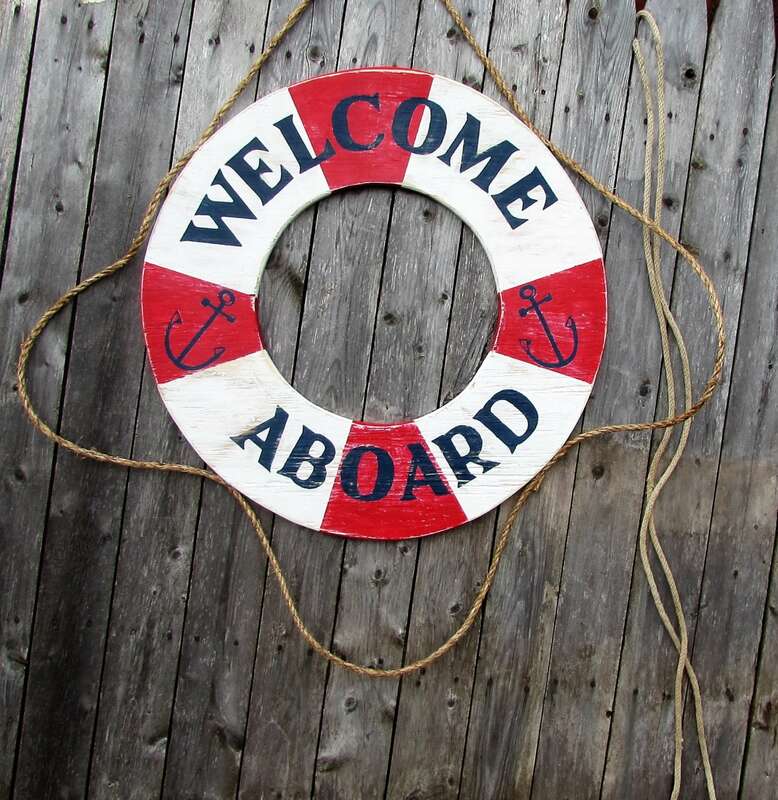 Between his hearty laughs, he was able to thank her; it may have been a joke, but every boater can use an extra life preserver on deck. It’s a gag gift, sure, but I guarantee most of those items will end up coming in handy at some point (maybe sooner than the birthday gal or guy would care to admit). Of course, you want to make sure no one gets offended by your silly gag gift so get them a genuine, heartfelt present, too. For such an important birthday, you want to make sure the person you’re celebrating feels appreciated, whether you’re searching for a birthday present for your beloved husband or a present for your BFF to celebrate your friendship. Among the orthopedic insoles and reading glasses, include a few special items they really want. Help the star of the day register on a free online gift registry website so they can set up a birthday wish list. They can browse gift guides or add items from around the web and, when the list is complete, you can help them share it with everyone attending the party. It’s hard to be grumpy about your new collection of digestive care medications when they’re delivered with something from the top of your wish list! 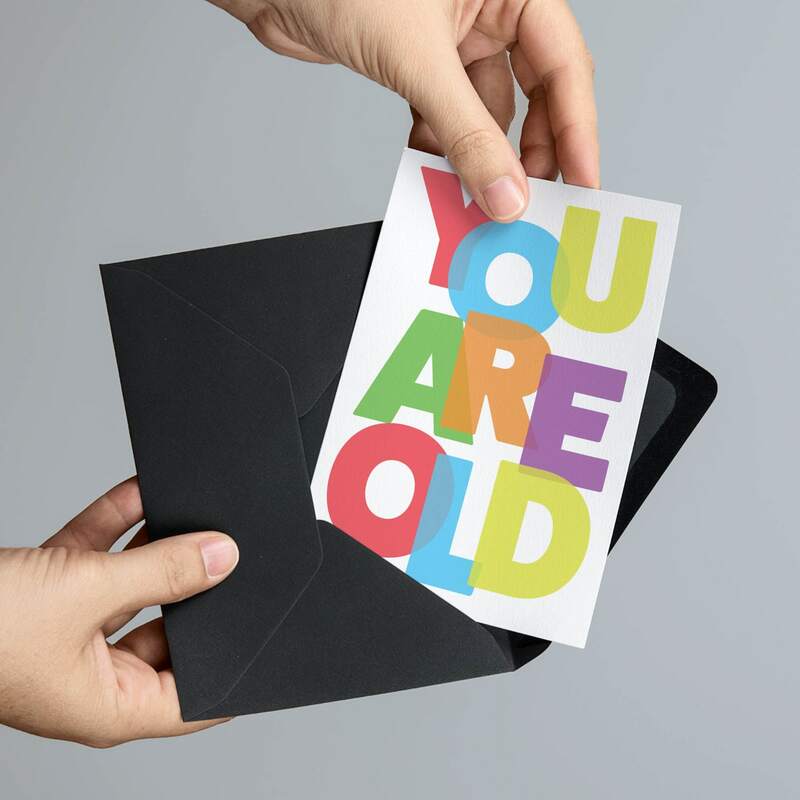 We tend to take birthdays and aging seriously, but there’s no reason to feel blue about getting older. Poke fun at your loved one’s insecurities with a homemade over the hill gag gift that’ll show them that getting older doesn’t mean you have to stop having fun. If it starts to feel like a 14-year-old’s birthday party, whoopee cushions and all, you’ll know you’re doing something right! They may never end up needing to use the diaper cake, but the laughter they’ll remember when they think back on their party will definitely end up coming in handy. Still looking for present ideas? Not to worry! You can see what the elves picked out in our Happy Birthday Gift Guide. Share your favorite finds with us, and get even more birthday party ideas, on Elfster’s Facebook page. Don’t forget to follow us on Instagram @Elfster and on Twitter @Elfster as well. Justina H. loves creating things, whether it's sewing a dinosaur-themed quilt for a friend's baby or whipping up a healthy meal using seasonal ingredients. Her favorite gifts are always homemade, and her overly-stuffed craft closet and fabric collection are always threatening to take over her apartment. Her favorite Elfster feature is the secret santa app. When Justina's not busy planning her next quilt, chances are she's writing the day away, Facetiming her niece, or engaging in a battle of wills with her temperamental cat. Hit her up for creative ways to bring a DIY flair to all of your fabulous gifts and parties!